Nokia is one of the most established and long-running names in phones, even if it has changed hands a few times, and it’s gathered a dedicated fan base over the years. 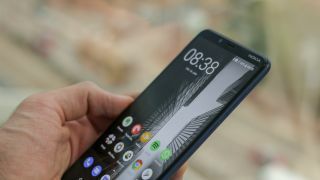 With low prices but great specs and features, Nokia phones are a reliable go-to if you’re looking for a new phone – but with so many on the market, it can be hard choosing which one to get. That’s why we’ve made this buying guide, so we can suggest the best Nokia phones out now and compare the various phone models. If you’re set on buying a new Nokia phone these are all great options. The company has three new smartphones hitting the market – the Nokia 3.2, Nokia 4.2 and five-camera photography powerhouse Nokia 9 PureView – but until we’ve tested out these latest models, these are best Nokia phones you should consider today. The Nokia 8.1 is our favorite Nokia phone – it’s a competent mid-range device offering up a tried-and-tested Snapdragon 710 chipset, functional camera, and adequate battery, all for a relatively low price. For such a low-priced phone you’ll certainly be impressed by its screen , with 2280 x 1080 Full HD+ and an 81% screen-to-body ratio, and an elegant design to match. It’s by no means a powerful smartphone, and it won’t rival high-end models in terms of specs of functions, but at its price band it’s a tempting device. 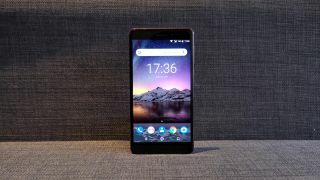 While the Nokia 6.1 doesn’t quite have all the bells and whistles of the Nokia 8.1, it’s still a great device – especially given many of the downsides we could attribute to it wouldn’t realistically be expected on a phone of its price in 2018. It’s a tough device with a robust design and strong frame – fans of solid and secure phones will love the Nokia 6.1’s durability. It also packs some pretty impressive specs for its low price, with a competent chipset and splendid screen – yet its camera loadout isn’t as impressive as it could be. The Nokia 7.1 isn’t exactly a miracle of a phone, but with such a low price tag you’ll find the device great for everyday use if you don’t need the high processing power. That tall, bright, sharp screen really stands out for us though, and it makes video watching a pleasure – you can easily forget you’re not using a modern flagship with it. And at such a low price point, you definitely won’t come away from the Nokia 7.1 feeling like you’ve got a bad deal – it’s a reliable and snappy Nokia smartphone. You wouldn’t guess to look at it that the Nokia 5.1 is another mid-range smartphone – its metal body, classical styling and sleek design make it look like a premium device. 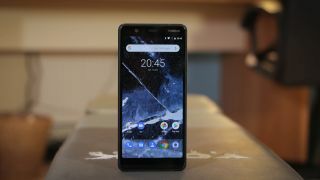 Of course it’s what inside that counts too, and the Nokia 5.1 doesn’t have the best specs which it’s why it’s a little lower on our list – but that doesn’t mean it’s a bad phone, and it’ll serve your needs easily. 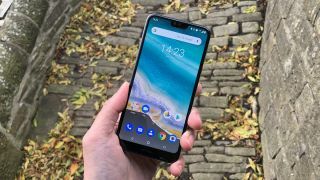 While the Nokia 3.1 Plus is one of the cheapest in Nokia’s line of already-affordable handsets, it’s still a great device, and with Android One it’s future proof so you won’t need to be shelling out extra for an upgrade soon. For its low price, it’s got some great features, including an impressive battery life, a dual-lens rear camera setup and good-looking screen. While it does cut some corners to keep the price low like a low storage limit and mono speakers, it’s still a great device if you’re looking to spend as little as possible on your new Nokia phone.